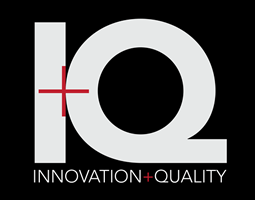 Peak Gas Generation is proud to announce that it is sponsoring breakfast at the upcoming Wine Business Innovation + Quality (IQ) forum, on March 2nd 2017, in Napa, California. IQ 2017 is the third annual forum that focuses specifically around ultra-premium wineries and the latest innovations that can help further wine quality in production. The all-day event will be held in the Charles Krug Winery, an iconic Napa Valley winery, famous for its historic wine making innovations, for being home to California’s first tasting room and of course, the exceptional quality of wines that it has produced for over 150 years. Wine Business Monthly, a leading & dedicated wine industry publication will be hosting the event. Attendees will not only be able to partake in ultra-premium quality wine tasting, but will also have the opportunity to learn more about latest innovations in winemaking, growing, bottling, packaging and direct customer sales. Peak Gas Generation's i-Flow nitrogen gas generator is a highly cost effective, energy efficient & reliable nitrogen supply solution for manufacturing & processing industries, such as wine making & production, food, beverage, metal fabrication, electronics & more. It is a modular & scalable system capable of producing over 4000 litres per minute of nitrogen gas, at purities ranging from 95% to 99.9995% and can be expanded retrospectively, with minimal hassle & investment, to meet growing demands in production. i-Flow is an ideal nitrogen supply solution for applications such as blanketing, bottling, gas flushing, sparging and pressure transfer. Its broad capabilities mean it can not only service a range of customer requirements, but can also help companies improve manufacturing/processing efficiencies, reduce costs and meet sustainability targets. Want to know how Peak Gas Generation's gas generation solutions can help your company save money & maximize productivity? CONTACT US TODAY.